Weapons collectors looking for an easy way to show off their favorite blades can now do so with the help of this sword display stand. The Musashi Single Sword Stand makes the perfect solution for showcasing an oriental sword. 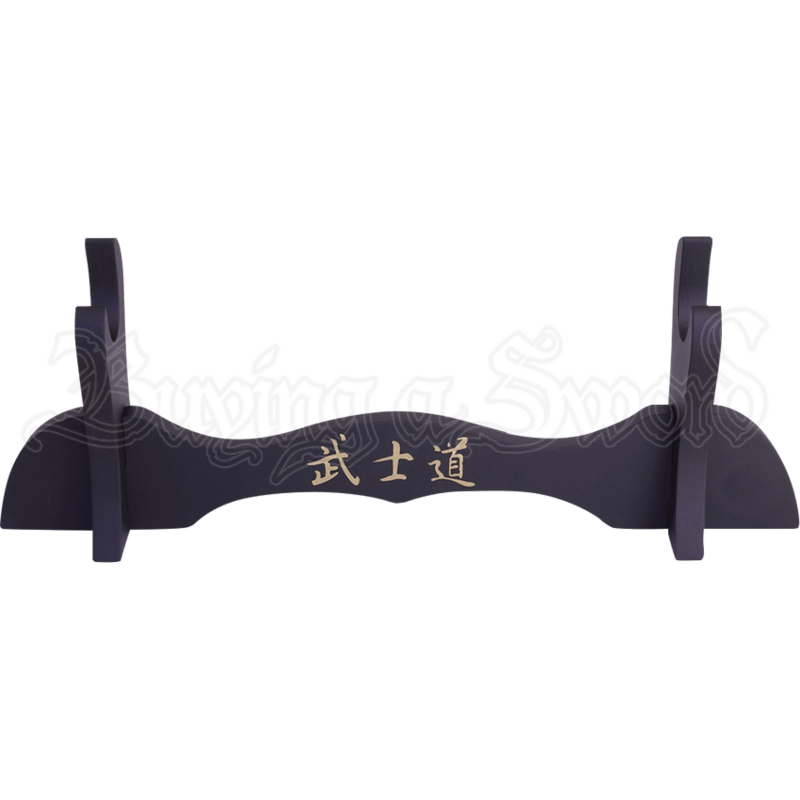 The black sword stand displays oriental characters on its front as a decorative detail. 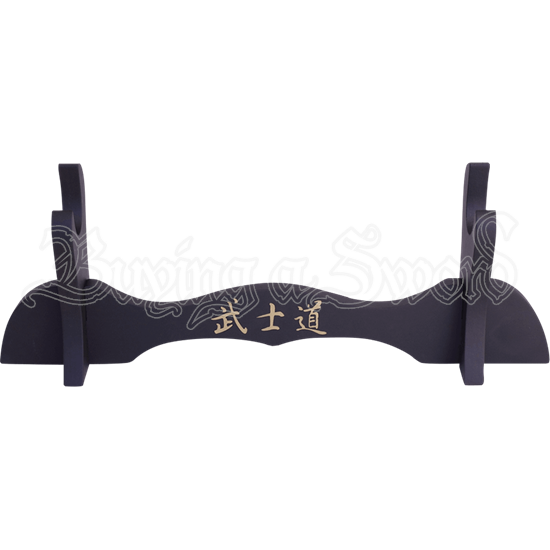 The smooth shape and clean look of the sword rest ensures that your katana, wakizashi, or other Japanese sword will get the attention it deserves when placed on it. Capable of holding one sword, the wooden display stand looks great on a table or mantelpiece.